According to Kentucky State Police’s report, a total of 27 traffic incidents were investigated in the Post 15 area in February alone. Out of which, five were fatal. The number went down compared to the seven fatalities that were recorded same time last year. However, one is still too many. We can do better. Let’s protect one another when in roads. Pay attention to blind spots. 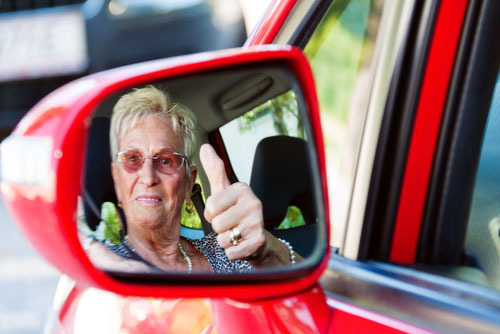 While you have your side mirrors and rearview mirrors to guide you, make it a habit to look around as well on areas they are unable to detect. Think about blind spots of drivers you’re sharing the road with. This will help you navigate the road safely, especially when you’re forced to quickly maneuver for any reason. Keep an eye to the traffic ahead. Do not just look out for the car in front of you. Make sure to observe all vehicles ahead. Being aware of your surroundings will enable you to prepare should something happen, you need to react fast. This also decreases the possibility of you hitting cars in front of you should they suddenly stop. Avoid driving at night when possible. While this is a great time to avoid heavy traffic or congested roads, this is as well when you’re most likely to encounter drunk or exhausted Kentucky drivers. If you can drive to your destination before the sun goes down, do so. You’d want to make sure too that your headlights and taillights are working properly, especially if you’re passing by poor-lit roads. Look after your car. As much as you judge other driver’s behavior with the condition of their car, make sure as well that your car is in good shape. Clean it regularly. Follow a maintenance schedule. And don’t postpone seeing a mechanic whenever you see any problems with your car. As a Kentucky Accident Attorney, I understand that traffic collisions can happen no matter how careful you are as a driver. Should you get involved in a crash, make sure to get in touch with an accident attorney for legal advice. You need to know the next steps you should take, as well as claim for compensations you may be entitled to.